how do you remove light globe? afriend gave me a harbor breeze ceiling fan without the manual,,,,where do the triangular rubber pieces go,,,there is a hole where a brass screw goes but I cant figure out where they go. My ceiling fan cuts on after switch is turned on. Works ok. Then light turns on off and speed of fan cuts on and off. If just leave fan on it works ok. Turn light on. Goes haywire. Help me. I've checked light switch in wall. Checked connections. ? Clueless. Is it a bad fan. Had almost a year. Till now. Problems. I just installed a Harbor Breeze fan with remote. The fan and light both work and the fan can be controlled by the remote. I can dim the light via remote, but I can only turn the light off with the wall switch and not the remote. Thanks! I'm looking for the user manual for item 154623, the 56" wheatland ceiling fan by harbor breeze. Specifically, I'm trying to figure out how much air it pushes at high speed (in cfm). Thanks! How do I program this remote? I purchased an Aberly Cove ceiling fan, model 40842 with remote control. The previous fan operate with wall switches for fan and light, so I have black, red, white and ground wires. Instructions do not address the "red" wire. What are options for wiring to remote transmitter? Can I get the manual for the Beach haven fan? I need to locate the dipswitches in the fan and I'd like to know if they are inside the receiver as I have 2 Harbor Breeze fans and the remotes are operating both of them. Where is the reverse switch on the Harbor Breeze Lynstead? I have a Santa Ana ceiling fan and an unable to remove the glass dome to replace the bulb? Any ideas? The dome will not rotate to the left at all and I don't want to break it! Hello! Manual for the Harbor Breeze Shelby Antique Brass Ceiling Fan, Model E-LKD52AB5CL? I'll call Litex tomorrow, but figured I'd post here too. Also, can anyone decode the Date Code? Mine is MR. It's in a condo we just bought. Your customer service is the worst... Not open on weekends when most people do home projects. WOW! I have a Harbor Breeze Sail Stream 52. My dog literaly ate the remote, not much let. Fan/light do not come on without remote so I need a new remote or I'll be forced to buy a competitors fan. Can't find this remote anywhere. It has the reversing switch, that the standard repleacement remote does not have. The standard replacement remote does not work. Lowes is useless. Can you help tell me where to get a replacement remote? Take a look here, http://ceilingfanmanuals.co.... There's a Branded Harbor Breeze replacement available as well as a universal option that should work on all brands of fans. Both control the lights but do not control fan direction. I hope by now you are someone figured out the problem. I had just bought a used one Wed and it had no manual as I would guess you didn't have one and they are not on the net. But once my brain kicked in and I set it back in the hole and lined the square hole up with the tab on the bracket it was good to go. Then I placed the black plastic piece to secure it all. Now to install the blades and finish. Very angry right now. Purchased a Harbor Breeze Sail Stream 52" fan last summer (2016) from Lowe's. Installation was a mess because half the parts were not included (only found that out after we'd begun installation -- couldn't figure why it wasn't going together, etc. Ha! Missing parts!) Returned to Lowe's who basically opened up another box and told us to take what we needed. (If that's how they solve the problem, it's no wonder we got a box with missing parts.) Finally get it installed and it worked fine -- just what we needed to move a little air in our Family Room. Last used it in October. Now that we're into the warmer, spring/summer months again, went to turn it on. Nothing. The light will go on, but the fan won't move. We can hear a 'click' each time we hit the button. Anyone else have this problem/know the fix? Sorry, but this should last longer than less than a year, with maybe about 3 months of (not even 'daily') operation, so far. Can't even find a "Harbor Breeze" website so as to complain to them. What ceiling fan is model number H557DTW3 SH 52? I need the installation manual. I have a Harbor Breeze Oscillation wall fan that has stopped oscillating. How do I fix that? 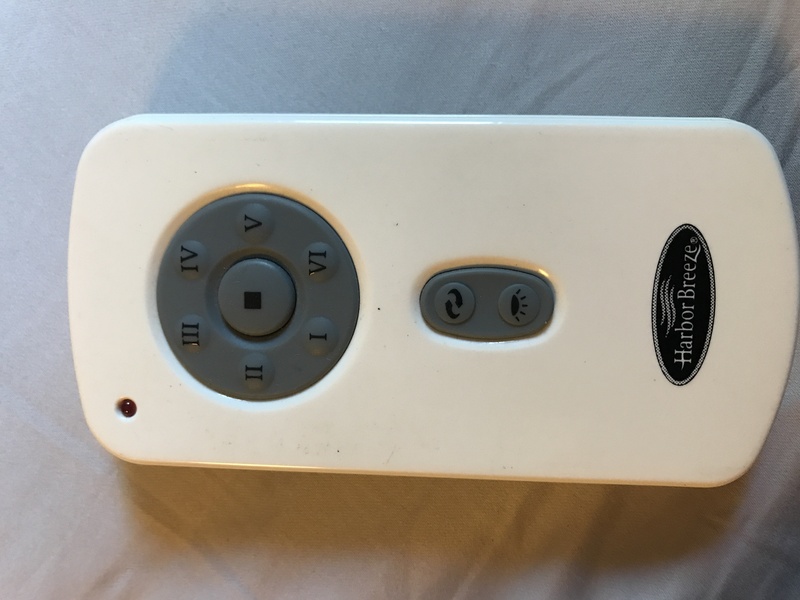 I recently bought the Harbor Breeze Pawtucket 52-in White Flush Mount Indoor Ceiling Fan with Light Kit and Remote Control. I have two switches on my wall that run to the outlet where the ceiling fan is installed. One is meant to control the fan. The other is meant to control the light. This means that in the ceiling outlet I have two black wires and one white. This model appears to be setup to run both the light and fan from the remote. My question is, would there be a way to bypass the remote unit so I can connect the the second black wire in the outlet and run the light off the second wall switch? Is there a more detailed wiring diagram for the unit? I like the remote for the fan but not the light. If neither of these is possible, I may just return the unit and get one without a remote. I really like having no chains though. I purchased this fan alittle over 7 years ago. A screw on one of the blades has come loose and has fallen inside the fan itself so I can not use the the fan on high. Recently the lights have also decided to stop working. So I need to take this down and fix it but I do not have the instructions anymore, Can anyone please help me with this? Thank you so much! Do you know what brand or model number it is? We recently bought a home with a harbor breeze sail stream 52 inch. The light function works on the fan but the fan function does not work. We have tried to program the remote (following forum and you tube video instructions) using the "learn" button in the battery compartment and nothing has changed. We tried adjusting the frequency but again nothing changed. We checked the wiring and all seems correct. We can't find the manual online and are at a loss. Any suggestions? The Sail Stream fan is one we are unable to locate a user manual for. However, based on other manuals it sounds like your issue may not be covered in a general user manual. 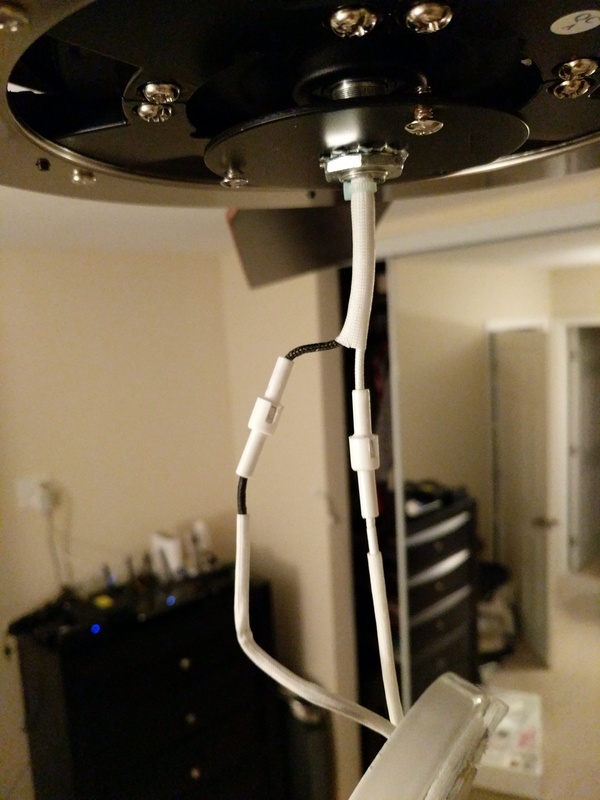 Does the fan work manually with the pull chains? If so, i would suggest getting a replacement remote. There are no pull chains on the fan, the only controls for the fan are via the remote. The remote is controlling the light, and the light does respond when trying to reprogram through the remote. But the fan function does not respond to anything. Any other troubleshooting techniques or information of where we could look to get the fan working? Thanks for the help! I bought two of the fans and installed them in separate rooms. However, when I work the remote in one room it activates the fan in the other! As you can imagine this is very irritating. If I turn on the light in the living room, it comes on in the bedroom as well. Not good. There's a great write up and video on del-mar fans on how to fix this issue. Check it out below. Harbor Breeze fan works, lights don't, power from pull chain switch to circuit board in light fixture, no power coming out, is there a replacement? Tried the options mentioned in the link above but of no help. Also the remote doesn't have any learn switch near the battery compartment. Completely lost. 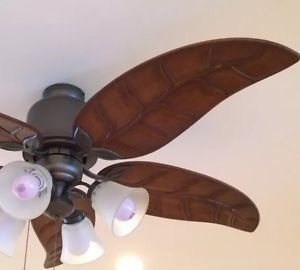 I recently bought this house with a Harbor Breeze Pacific Grove Ceiling Fan, can a light be attached to the Harbor Breeze Pacific Ceiling fan? I do not believe you are able to add a light kit to this fan. Bought a new remote it worked great. Had one light not making good contact took all out and cleaned all four light fixtures, reinstalled bulbs. As I was installing the last bulb across from one that had been a problem there was a loud pop as if the bulb burned out in my hand, it continued to burn. the remote no longer works on the lights., fan works fine. Wife no happy!! You may need to replace the remote receiver or check the connection from the lights to the receiver. Sounds like something may have shorted out for sure.